Our Operational Excellence solutions are tailored towards helping our financial services clients realise one clear objective: to achieve customer satisfaction, profitably. We optimise business processes, define clear roles and responsibilities, and establish performance management systems to drive continuous improvement. These solutions can be applied to teams, departments, or entire organisations. Our approach has been developed and optimised through hands-on experience in the field for over 15 years. It is characterised by a high degree of rigor, and features a toolkit that is tested and delivers impactful results. 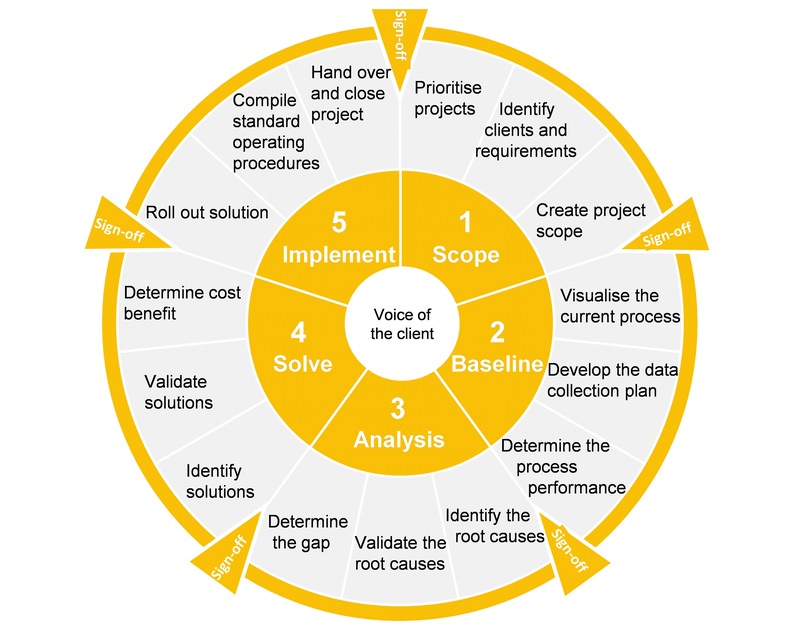 All Operational Excellence projects start with a briefing and scoping-session to define goals and end-customer requirements of the targeted process. Our client’s team and key stakeholders are intensively involved in the improvement of the process and are simultaneously trained on our methodology of continuous improvement. Ancora is involved from end-to-end, supporting from the scoping of the project to the post-implementation stage. Our Operational Excellence Capability Building programmes follow key principles of Lean & Six-Sigma, whilst being highly adapted to the Financial Services industry. The Yellow Belt programme offers a first, hands-on, insight into the methodology. This one-day programme will enable its participants to speak the basic language of Operational Excellence, and prepares managers and employees for their roles within Operational Excellence projects. The Green Belt programme follows a structured process improvement approach based on data and process analysis to achieve 100% customer satisfaction, profitably and sustainability. The programme is an intensive 5-day, hands-on training, with 30% theory and 70% application. Participants will apply what they learn on their own current projects to maximise the impact of the training. Alternatively, they can also apply the learnings to a case study which is based on actual projects. The Black Belt programme provides a deep-dive into the concepts and methodologies of Operational Excellence. This programme is targeted at project, process, and programme managers. Participants of this programme will be equipped with additional quantitative tools and change management techniques to effectively lead and steer Operational Excellence projects and initiatives.